Shellac for me is a real breakthrough of XX1 century! It is a 14+ day wear no matter whether you are gardening, partying, swimming...you name it. Shellac is an armor coat that screams "see you in 2 weeks". CND's Shellac is an original brand name extended-wear nail color. Before Shellack I had to change my nail polish (literally) everyday. I do have an active lifestyle, and I hate when my nail polish looks scratched or not shiny or chipped, so I had to be very patient and repaint nail polish every 1-2 days. It was really annoying. My nails just won't keep nail polish on them, no matter which brand I use, it does not stay for long. So liters of nail polish remover and tons of cotton pads were wasted. With Shellac I am the "happiest camper" out there. Top coat gives a mirror-like finish, the drying time is zero, as it is cured with UV light. The application service time is only 30 minutes. It is also easy to remove without doing any damage to you natural nail plate. 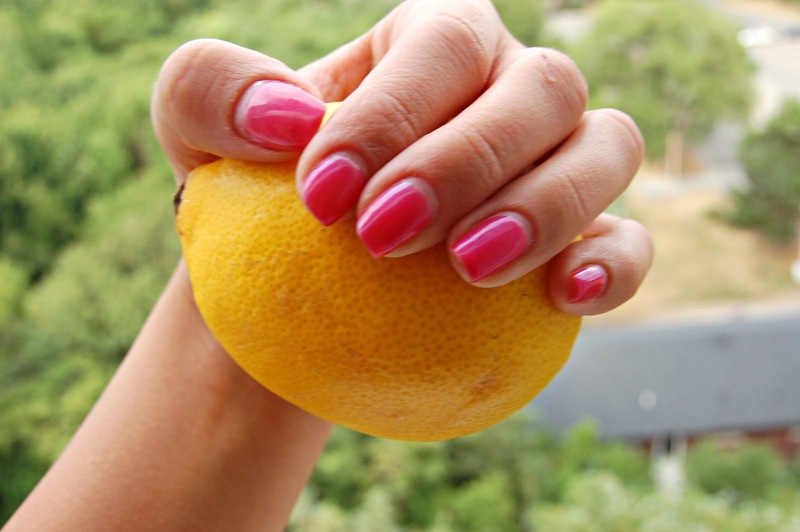 In fact, your nails will grow fast and long while wearing Shellac. Come for Shellack, be pragmatic!